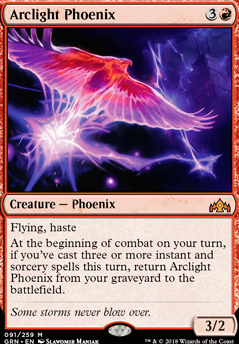 At the beginning of combat on your turn, if you've cast three or more instant and sorceries this turn, return Arclight Phoenix from your graveyard to the battlefield. If you have probem with phoenix, humans, spirits, hollow one, or similar decks that are best when they draw multiples of the same card (stuff like multiple hollow ones, bloodghasts, meddling mages... etc. ), use Declaration in Stone . 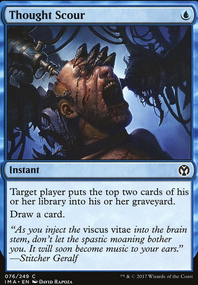 It kills everything - i mean it totally unmakes them - with not questions asked, so its not dead against threats that are not hit by Fatal Push , and it sweeps clean degenerate boardstates involving things like multiple Arclight Phoenix , Bloodghast , and other hard to remove recursive threats. 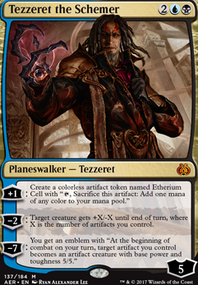 Arclight Phoenix is a lot better than Flamewake so I would recommend updating the list. 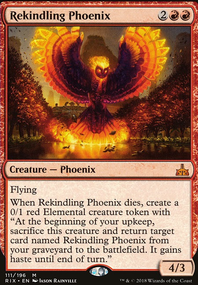 Additionally, one of the best upgrades would include to upgrade the Arclight Phoenix package with 3 more than the current 1 and adding 4 Faithless Looting to enable it. 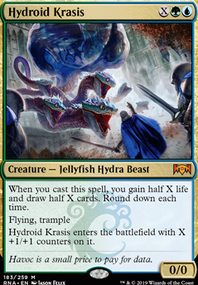 Now, since they are wizards, add Wizard's Lightning to the mix that is castable for 1 mana and Runaway Steam-Kin to provide the mana and the jank mono-red deck is back for business! 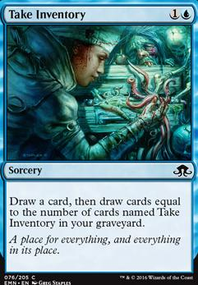 Naturally, you can pair this with Arclight Phoenix for even more! Arclight Phoenix seems very good here.